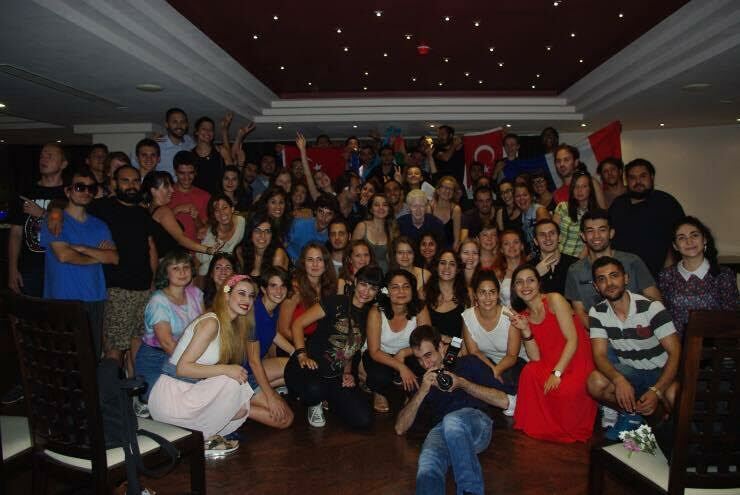 Evs gives you many skills, friends, opportunities to travel and so on. 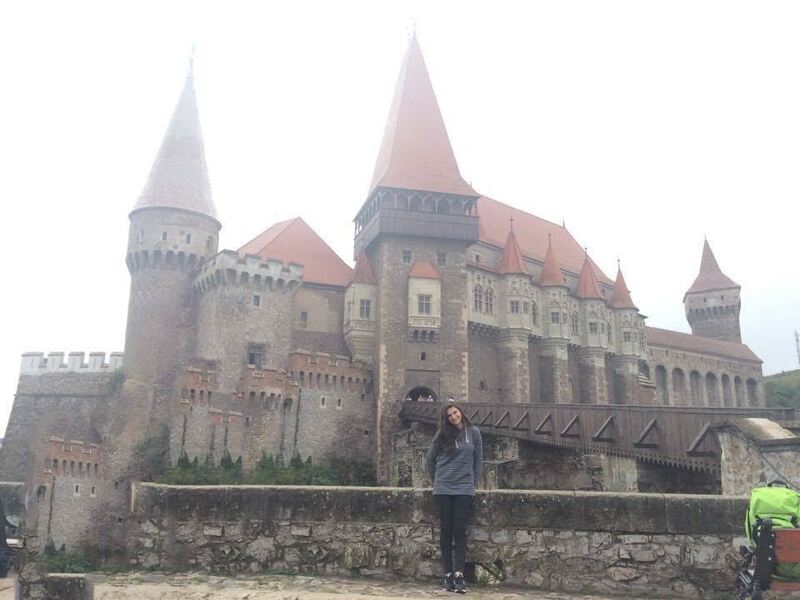 My evs was in Romania. I’ve spend 4 months there. My project was about the youngsters, in penitentiary. I worked at detention centre. My project name was “Restart” and we were six EVS volunteers there. Beside of penitentiary I had a work at office too. We took part in different public events orfanised by organization and inside of penitentiary. Our public events were: exhibition, intercultural event, flash mob, EU travelling opportunities, let's do it Romania, blood donation and so on. Also all of us had a possibility to joined another events. And it was nice opportunity, because you can see another point of views, some other things to make, new ideas, to learn something new, and of course to make a friendship. In august I was on arrival training, where I got more information about the EVS, Erasmus +, general volunteering and so on. 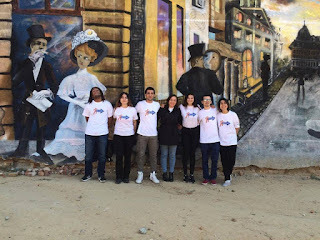 Also we had meeting with Romanian National Agency of Erasmus + program where we had an opportunity to get to know more information about the international and local volunteering, also we discussed volunteer’s problems, and we've found the solving ways. But it was not all of it. I've improved my English skills and got lot of new friends. And that was great. Because out of our service tasks for us - volunteers - had an opportunity to travel. In my case I had eight free days, which, I used and I had a trip around Romania. 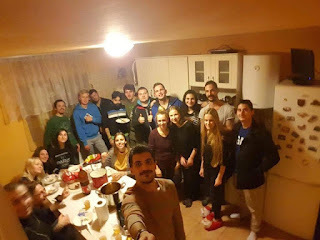 I went for those holidays together with new friends from on-arrival training.. During the EVS time we were keeping in touch with each other and after that we gathered together in different cities. Well, about my communication during the EVS - it was only in English. I was speaking in English with everyone. With coordinators, friends, with other people in any other places, for example, in magazines, in shops, with my colleagues, in penitentiary and so on. Also, we did some paper work during my EVS. These writing activities, and also talking with everybody only in English improved my language skills. I took part in lot of events where I improved my knowledge how to communicate with other culture people. Also I improved my skills to make a slideshow and other presentations. ჩემი ივიესი, იყო რუმინეთში 4 თვის განმავლობაში, მე ვმუშაობდი ბავშვთა გამოსასწორებელ ცენტრში (ციხეში). ამასგარდა, ასევე ოფისშიც, და მის გარეთაც. მოხალისეებს გვქონდა უამრავი ღონისძიება, როგორც პეტენციალურში, ასევე მის გარეთაც გვქონდა შესაძლებლობა რომ ჩავრთოდით სხვადასხვა ღონისძიებებში, და გვესწავლა რაიმე ახალი. ყოველი კვირის ბოლოს ვწერდით სხვადასხვა დოკუმენტებს, რომლებიც გვეხმარებოდა რომ გაგვეუმჯობესებინა ინგლისური ენა. ზოგადად საკომუნიკაციოდ ვიყენებდით მხოლოდ ინგლისურ ენას. მეგორებთან, კოლეგებთან , მენტორეთან, საზოგადოებრივ დაწასებულებებში, ასევე გამოსასწორებელ ცენტრში და ასე შემდეგ. ინგლისურისა და სხვადასხვა უნარების გაუმჯობესებაში ასევე ძალიან დამეხმარა, ერთ კვირიანი ტრენინგი, სადაც გავიცანი უამრავი მოხალისე, სხვადასხვა ქვეყნებიდან. მქონდა აქტიური კომუნიკაცია მათთან , ღონისძიებები. რომელთაგანაც ერთ-ერთი საკმაოდ დასამახსოვრებელი იყო ჩემთვის. როდესაც საკუთარი ქვეყანა წარმოვადგინეთ, ყველა ჩვენთანგანმა. ამასგარდა, იყო სხვადასხვა ღონისძიებები, რომელშიც აქტიურად ვერთვებოდი. გამოფენები, კულტურათაშორისი ღონისძიებები, პოსტერების გავრცელება, ნაგვიანი ადგილის დასუფთავება, ფლეშ მობი, ინტერვიუები, მოკლე მეტრაჟიანი ფილმების გადაღება და ასე შემდეგ. ამ ყველაფერთან ერთად საბედნიეროდ მოხალისეებს გქონდა თავისუფალი დროც, რომელსაც ჩვენი სურვილებისდა მიხედვით ვიყენებდით. მე პირადად როდესაც მომეცა საშუალება გამოვიყენე ჩემი რვა თავისუფალი დღე. და ვეწვიე საკმაოდ ცნობილ ადგილებს სხვადასხვა ქალაქებს. აქედან გამომდინარე, შემიძლია ვთქვა, რომ ივიესი ეს არის პროგრამა რომელიც გაძლევს საშუალებას, რომ დაეხმარო ადამიანებს, ამავე დროს გაიმჯობესო სხვადასხვა უნარები, და რაღათქმა უნდა მოინახულო შენთვის საინტერესო ადგილები, გაერთო მეგობრებთან ერთად ,და ასე შემდეგ. The programm under Erasmus Plus. This activity allows young people aged 17-30 to express their personal commitment through unpaid and full-time voluntary service for up to 12 months in another country within or outside the European Union. Young volunteers are given the opportunity to contribute to the daily work of organisations dealing with youth information and policies, young people's personal and socio-educational development, civic engagement, social care, inclusion of disadvantaged, environment, non-formal education programmes, ICTs and media literacy, culture and creativity, development cooperation, etc.